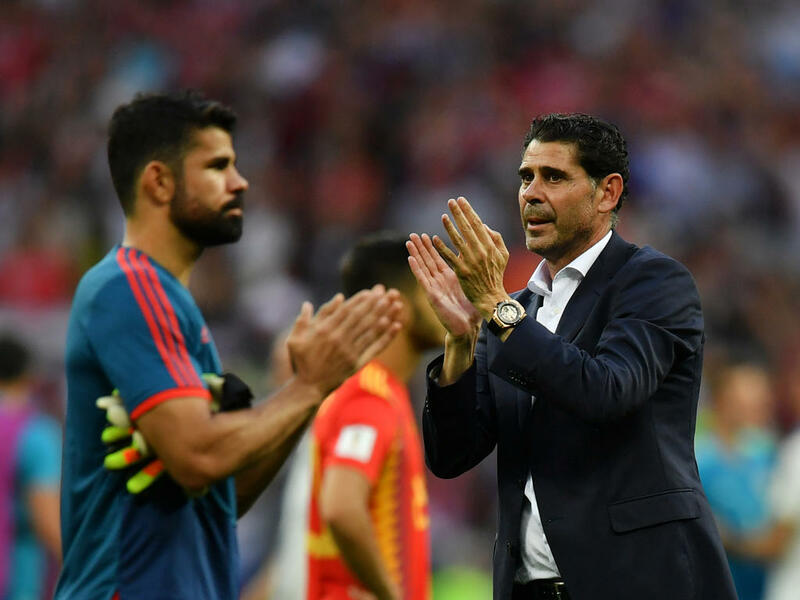 "That doesn't not worry me, I don't think it's something for right now," said Hierro when asked about his future in the role. "Now we need to share this difficult moment. We all wanted to great things at this tournament. "We're talking about a generation of extraordinary players and we haven't been performing at the level we expect in the World Cup." "We had opportunities to win this match but we ended up in a penalty shootout which is basically a lottery, and we weren't lucky," he said. "I don't think you can talk about the team breaking down or there being any sort of collapse," the former Real Madrid captain said. "In football there's a fine line between winning and losing." Spain have not lost over 90 minutes since they were knocked out by Italy in the last 16 at the European Championship in France. "We're going home after 24 matches without losing," Hierro said. "This is sad but we have to accept it."